Mr. Pepper spent a 40 year career in various positions at Procter & Gamble, including Chief Executive Officer and Chairman from 1995 – 1999 and Chairman of the Board from 2000 – 2002. He served as Director of Procter & Gamble from 1984 – 2003 and President from 1986 – 1995. On 17 April, Mr. Pepper will meet LUISS Business School’s students on the occasion of Leader for Talent – #L4T, a series of meetings with speakers from the corporate world. These meetings with business leaders of important organizations are oriented to management best practices and designed to offer students the opportunity to debate current business issues to enrich their professional and soft skills. 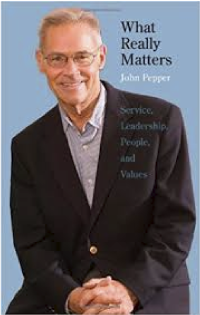 Pepper has devoted important effort over the past 30 years to Early Childhood and Youth Development. He currently serves as a member of the Cincinnati Preschool Program Board of Trustees. He was a founding supporter of Every Child Succeeds (which provides home visitation to at-risk 0-3 year olds), and was a co-founder and currently is an honorary member of the board of the Cincinnati Youth Collaborative, one of the nation’s most successful mentoring and tutoring organizations. The participation in the event is free of charge. For organizational reasons your registration is appreciated. You will receive an email to confirm your registration.